Sponsored by Page Waterman Fine Framing. 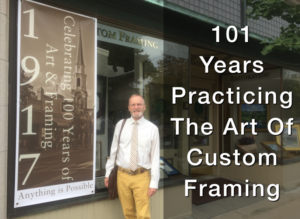 Celebrating 102 Years Of Art And Framing In Wellesley. High school students (public and private) in Wellesley, Weston, Needham, Newton, Dover, Sherborn and Natick, Massachusetts. 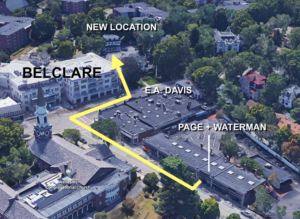 Page Waterman – Gallery & Framing, 592A Washington Street, Wellesley Square (which is our new location since July of 2018). Please refer to “Important Dates” to the right (or below, for mobile devices). There will be a reception on May 5, 2019 and a display of the art will run for one week in May. The winners (1st, 2nd, 3rd & Honorable Mentions) will receive awards and be featured in a press release in local papers/magazines. Friday, March 29 – End date for submissions. Monday, April 8 – Jurors will have made their decisions, the website will go up showing the work and the student artists will be contacted. Monday, April 22 – Delivery of artwork begins. 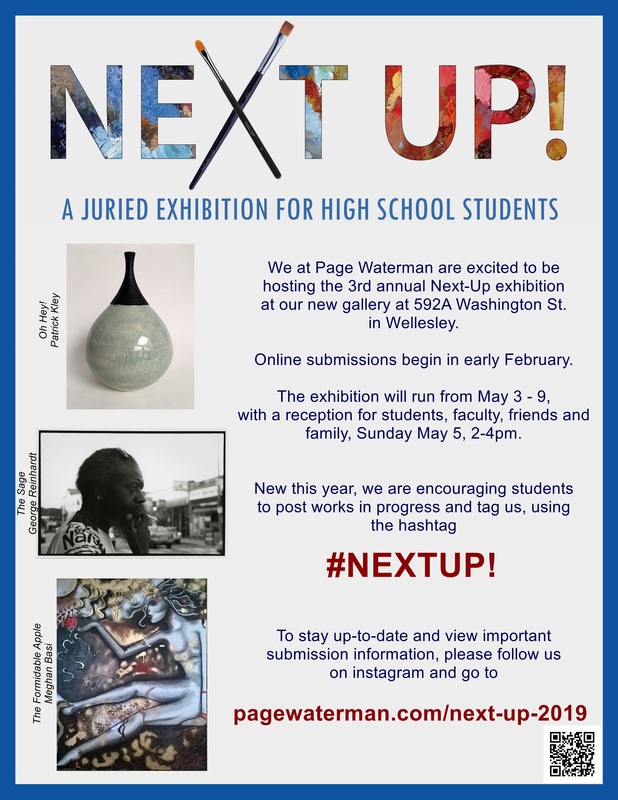 Wednesday, May 1 – All artwork must be delivered to Page Waterman by this date. Thursday, May 2 – Jurors will choose the 1st, 2nd and 3rd place winners as well as honorable mentions. Friday, May 3 – The gallery will display all of the work. Sunday, May 5 – Reception for the artists, teachers, friends and family; 2:00 – 4:00 p.m.
Friday, May 10 – The show comes down and artwork is available to be picked up. Questions? Contact Ryan Black at ryan@pagewaterman.com or call 781-235-0430. A one-time $5 entry fee includes up to three (3) submissions per student. Entries are now being accepted now through Friday, March 29, 2019. When you go to the ENTRY page, carefully read all of the instructions before proceeding. Print and distribute it; even post it to your blog or website. Thank you to all student artists, faculty and parents. And congratulations to the NEXT UP! 2018 winners and honorable mentions. The Show concluded Monday, May 14, 2018.